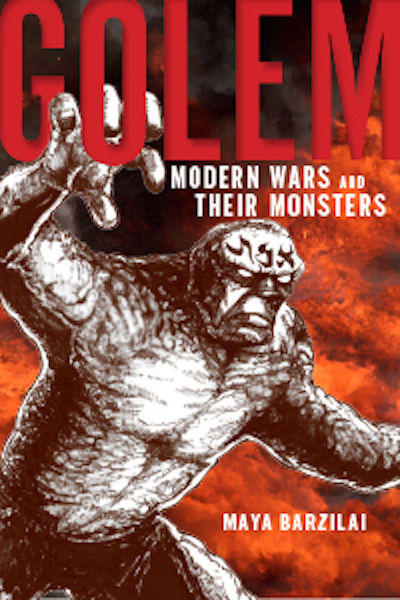 Maya Barzilai, Golem: Modern Wars and Their Monsters (New York: New York University Press, 2016), 288 pages, $35.00. If ever there were a perfectly mutable metaphor—one that evinces war, identity, fear, community, isolation, possibility, hopelessness—it would be the figure of the golem. Though, really, “perfect” doesn’t in any way capture the golem who, in its very nature, forces a recognition that any true transgression of the boundaries of human existence is naturally checked by inherent limitations: an essentia Maya Barzilai refers to as the “Golem Condition.” 1 1 Maya Barzilai, Golem: Modern Wars and Their Monsters (New York: New York University Press, 2016), 10. Subsequent references will be provided in parenthesis in the body of the text. But the golem nevertheless plays the vehicle to dozens of associated tenors. 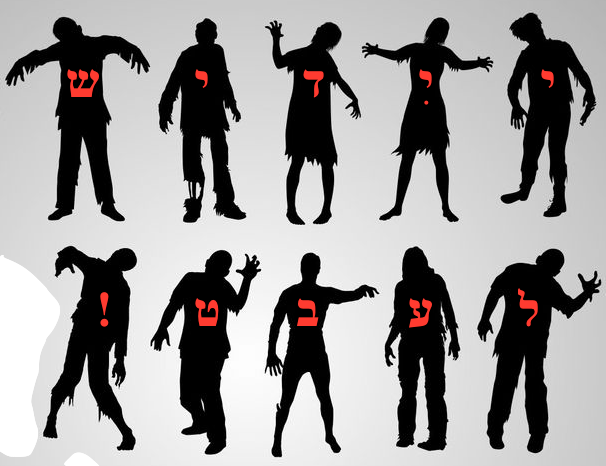 Is it the Jewish zombie? Is it the Jewish Frankenstein’s monster? Is it Jewish? Its origins—both linguistic and mythological—would suggest its unlimited capacity for symbolic representation. The first appearance of the Hebrew word galmi appears in Psalms and refers to the not-yet-formed shape of the yet-unsouled human. The golem is amorphous clay budding with unlimited potential for ensoulment. In her book Golem: Modern Wars and Their Monsters (New York University Press, 2016) Barzilai “traces the golem’s appearances both within particular national frameworks of cultural production and across cultures, revealing the golem to be a powerful means of transnational exchange regarding the monstrosity of war” (21). The study marches through the trenches of World War I, through the history of the State of Israel, through the aftermath of the Holocaust via cinema, Yiddish theater, Hebrew literature, comic books, and cyborg theory, considering each period of conflict and the golems it creates: robust defenders, brutal destroyers, monsters, rebels, nebbishes. War highlights the golem’s weaknesses; the golem highlights the weaknesses of its creators. Barzilai’s book, as it winds its way through warfare, thoroughly complicates any neat distillation of time, of mythology, of monstrosity. Her version of modern history and its ensuing “golem cult” is a hybrid of, on the one hand, linear time, with its advent of new and fantastic technologies and increasingly horrific wars, and, on the other hand, the cyclical recurrence of the golem. With each resurgence, the golem brings to bear a host of its previous interpretations even as it is being mobilized and interpreted anew. 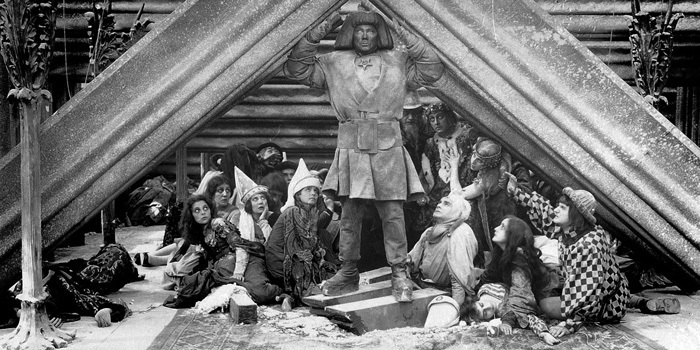 German expressionist filmmaker Paul Wegener is in some ways the figure punctuating much of modern golem history. Barzilai’s book points out shifts between Wegener’s first two lost golem films, which were examples of wartime escapism, and his final extant golem film from 1920, Der Golem, wie er in die Welt kam, which was shot after Wegener himself had returned from the trenches, and which is his attempt to engineer a post-war aesthetic and show the humanity of the golem. It is a film that, Barzilai argues, does not simply recreate the shell-shock of the war, but “suggests the potential for reinvesting life with new meaning after the mass carnage of the war” (64). Wegener’s golem subsequently bridges Postwar Europe and America; in 1921, the film came across the ocean and was given a new prologue that staged the fifteenth century expulsion of Jews from Nuremberg, rescripting the golem as a figure that speaks not merely to Wegener’s postwar concerns, but also to the anxiety of immigration and the survival of Jewish communities in America. In a comparison of two distinct visions of golems circulating in American theaters simultaneously, Wegener’s golem, the hero, is then counterposed with the golem from H. Leivick’s much darker and more violent 1921 Yiddish play Der Goylem. Barzilai’s counterposition elegantly demonstrates the golem’s mutability, its inherent internal embodiment of opposing ideas. Whereas Leivick’s golem is initially created heroically and designed to be an apt messiah for a violent time, it ultimately functions as the anti-hero to Wegener’s heroic golem. That the golem demands we embrace it as both hero and anti-hero places it in a lineage of dystopian fiction, of Orwellian doublethink: I am your messiah, it promises, at the same time as it spills Jewish blood. From its metaphorical promise in the realm of postwar rebuilding, immigration, and assimilation, the golem is reinvented in the Hebrew language press in the 1940s when it shifts from a symbol of “us” to a symbol of “them.” With the founding of Israel, the Hebrew-language press uses the golem as a metaphor for the enemy of the Jews, for the League of Arab Nations among others. Simultaneously, in Hebrew literature—Barzilai looks at works by both S. Y. Agnon and Yoram Kaniuk—the golem is rescripted as neither self nor enemy, but as simply a living dead soldier, the tragic result of war. Agnon’s Ad hena depicts the golem as a brain-injured veteran who cannot engage in conversation and cannot follow orders. Inspired by Agnon, Kaniuk’s golem, in Himo melekh yerushalayim, is a similarly deformed man—a failed Zionist war hero. Barzilai’s choice to present the Hebrew iteration of the golem as a metaphor reveals the golem’s innate counterposition as both a violent enemy and the vulnerable, dehumanizing result of violence. This golem is not Wegener’s fantastical vision of a hero or Leivick’s mythical vision of an anti-hero; it is a representation of mortality, fallibility, and humanity. War reduces men to golems who, in their dehumanized state, point to humanity’s own shortcomings. On its journey to trace the golem’s many manifestations, Barzilai’s work moves across geographical landscapes: from Germany to Israel to the United States, and takes up a wealth of genres. The golem as a metaphor for the dehumanized victim of war is then once again easily re-fashioned, this time through comic books, as a means of conveying the Holocaust to (and through) the American imagination. 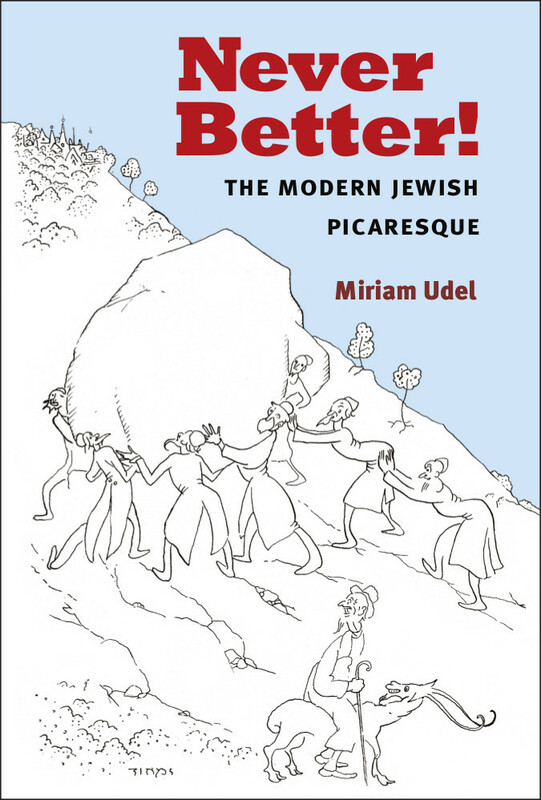 This new modern golem, linked with the Holocaust via Siegel and Shuster’s Superman, is no longer about nostalgia, but about critical reflection. Barzilai first looks at the many contradictions inherent in the complexity of trying to create a comic book series based on the golem and then moves to a discussion of Michael Chabon’s The Amazing Adventures of Kavalier and Clay (2000), where the golem serves as a figure who needs to be overcome to allow for assimilation. Chabon’s golem is about becoming American. Barzilai’s analysis of Chabon’s golem bleeds into an analysis of Quentin Tarantino’s 2009 film Inglourious Basterds, and a golem who exemplifies a presumed Jewish need for postwar violence. Tarantino’s golem is “The Bear Jew,” a psychological war tactic and a blistering depiction of the fantasy of Jewish retribution. Barzilai moreover points to the ways in which Tarantino’s film revisits Wegener (both films climax in a devastating theater scene), again hybridizing linear and cyclical time by demonstrating conspicuously the way in which the golem’s cyclical recurrence brings to bear all of its previous interpretations, even as Tarantino adds his own interpretation. The juxtaposition of Chabon and Tarantino points to the golem as both ally and enemy: an entity to be shirked on the path to assimilation and one to embrace in the face of anti-semitism. This is the dystopian myth at its most perilous. In the face of war, the golem suggests, the same forces must be both embraced and overcome. We need the Basterds, but also need to battle them for our independence: Nolite te bastardes carborundorum. 2 2 Margaret Atwood, The Handmaid’s Tale (New York: Anchor Books, 1998), 52. Sgt. 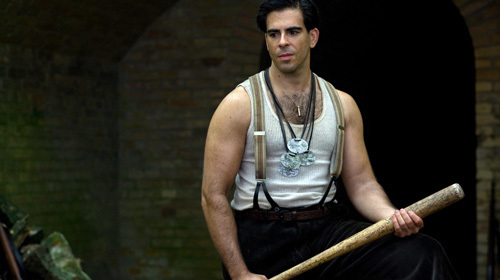 Donny “The Bear Jew” Donowitz, Inglourious Basterds (2009). Over time, the metaphor of the golem becomes increasingly realistic. The issue of the cyborg brings together both theory and literature to consider the role the golem plays in the very real world of mechanized life. Barzilai explains: “War as a global, ongoing threat to the human race thus gives rise to a new ontology of the golem. When all conflicting sides begin to don a mechanical, robotic mask, the relationship between humans and their machines also profoundly changes, yielding cybernetic humans and ethical golems” (191). The golem thus allows for speculation about relationship between humans and machines, moving it even more squarely into the realm of the dystopia. Barzilai examines the work of Norbert Wiener, who coined the term “cybernetics” and was driven by a concern over artificial life being used for unethical ends, and Stanislaw Lem, a Polish science fiction writer, author of Golem XIV, who adapts the golem narrative to one featuring a computer. Wiener’s golem is a metaphor for the tension between autonomous creation and enslavement. Lem’s golem takes Wiener’s work as his starting point, and then sets it in a digital world in which computers are far superior to humans. Marge Piercy’s 1991 cyberpunk novel He, She and It, is later juxtaposed with Wiener and Lem. A story about the creation of a cyborg, analogous to the golem of Prague, Piercy’s novel is a romance between a human and a golem designed to defend the digital spaces of its community: a narrative that affirms the human choice to be socially responsible and cease creating cyborg servants. Barzilai has chosen three texts that, on the surface, are not immediately in dialogue with one another. But her analysis suggests that what all three texts have in common is the way in which they present the chiasmus of war and golem: while the global threat of war births a new conception of golems, these “ethical golems” point unapologetically to the ethical weaknesses of their creators. I would have liked to end with the comforting vision of a golem de-animated, its clay remaining tucked away in some attic. But recent Ann Arbor news of a white man’s threat to set a student on fire if she doesn’t remove her hijab joins many other such reports across the nation and moves me to fear that the Trump-golem metaphor has run amok and become a literal reality, no longer a reality show. 3 3 Maya Barzilai. “Why the Golem is a Perfect Metaphor for Donald Trump,” Forward, November 13, 2016, http://forward.com/opinion/354318/why-the-golem-is-a-perfect-metaphor-for-donald-trump/. If history has taught us anything, it’s that the Golem can be both enemy and messiah, provocateur and redeemer, mindless monster and defender of the underdog. So, perhaps in addition to being Trump, or in antithesis to being Trump, the golem is also the antidote. Every war, every facet of war, carries its own golem: golems real and metaphorical, angry and docile. Golems avenge war violence as they are ruined by it. Having traced the legend of the golem through the trenches of World War I, the Israeli press of the 1940s, twentieth century Yiddish theater, post-1948 Hebrew literature, post-Holocaust American comic books and their attendant literary and filmic counterparts, and cyborg theory, as we face a Trump-golem, mired in our own current war, the exigency of the now bids we ask—and answer—who is our golem? Maya Barzilai, Golem: Modern Wars and Their Monsters (New York: New York University Press, 2016), 10. Subsequent references will be provided in parenthesis in the body of the text. Margaret Atwood, The Handmaid’s Tale (New York: Anchor Books, 1998), 52. Maya Barzilai. “Why the Golem is a Perfect Metaphor for Donald Trump,” Forward, November 13, 2016, http://forward.com/opinion/354318/why-the-golem-is-a-perfect-metaphor-for-donald-trump/. Cohen, Simchi. “The Mutable Monster: A Review of Maya Barzilai’s Golem: Modern Wars and Their Monsters.” In geveb, March 2017: https://ingeveb.org/articles/the-mutable-monster-a-review-of-maya-barzilais-golem-modern-wars-and-their-monsters. Cohen, Simchi. “The Mutable Monster: A Review of Maya Barzilai’s Golem: Modern Wars and Their Monsters.” In geveb (March 2017): Accessed Apr 20, 2019. 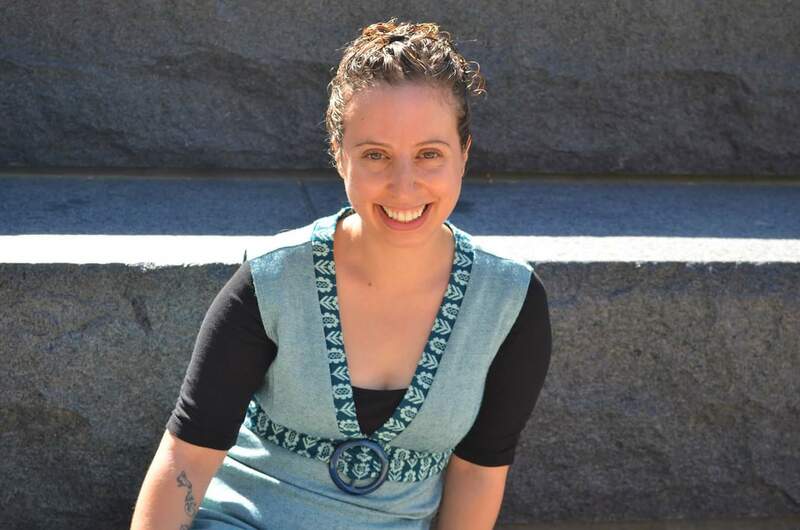 Simchi Cohen earned her Ph.D. in Comparative Literature at the University of California, Los Angeles.